GREENSBORO, N.C. — Some Guilford County parents are concerned about a phone call from administrative staff at a school for special needs kids. The call informed them that the school would be closing. 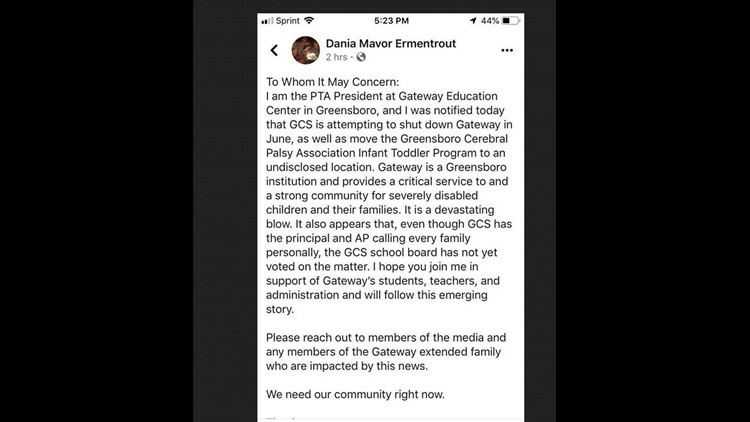 A post on social media from the PTA president at Gateway Education Center in Greensboro alerted the public to the news, Friday evening. It claims the district is trying to shut down the special needs school in June. The parents say they were neither given the opportunity to be heard on the matter nor adequate answers to the questions they had. "I feel like we have very limited time to act and really advocate for this special community that nurtures our family and our children," said Dania Ermentrout, the PTA president at Gateway Education Center. "How could such a long-standing Greensboro institution be shuttered so quickly without very much explanation," added Ermentrout. "Pretty much about 40 something days, we have like 40 something more days for the 2019 school year and the doors will be closed. That's pretty much what we were told on the phone on Friday," said Melissa Davis, a caregiver for her niece, Surai Jones. Jones is a 4th grader who joined the school at the age of 11 months. "If you are going to close the school, they could have at least forewarned us, 'well your school is going to close say next year' but you are giving us less than 40 days," added Davis. 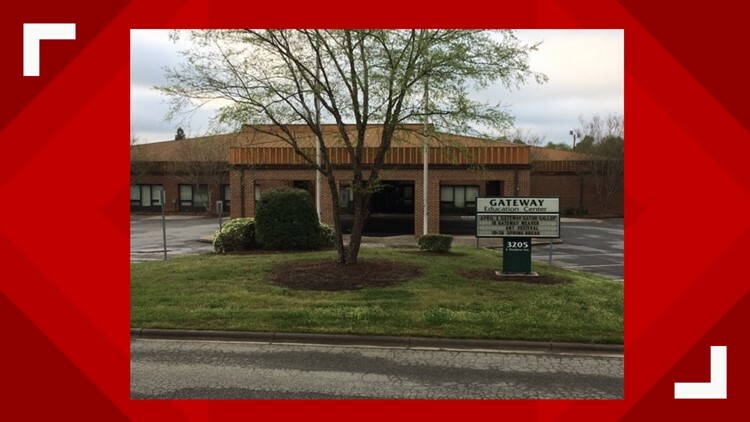 For most of the parents, if the Gateway Education Center does close, it means a lot of hurdles and adjustments moving forward. Most of the concern lies with how such a change would affect the children who are severely disabled and delicate in health. "For some kids, this whole move means they are going to go back, they won't progress. The kids have learned a lot of things and they are doing well with their therapy and if you change a whole environment, for some kids it means the end of it all," said Fafanyo Asiseh. Asiseh's son Nyamedze Quaicoe is also a student at the school. The parents say they are surprised by this development because they feel there are other schools in the district which need immediate attention. "The fact that I kinda feel blindsided by this decision and did not feel like we got any sort of transparency and it was presented as an emergency facilities issue," said Cassidy MacKay who was with her son Caleb. A spokeswoman for Guilford County Schools would only tell WFMY News 2 that Superintendent Dr. Sharon Contreras will be presenting her budget recommendations to the school board next Wednesday. Part of that will include recommendations for facilities. A January facilities report recommended GCS spend nearly $1.5 billion to revamp 27 schools and close 10 over the next decade.